RoofSmart LLC is Tucson’s leading roofing contractor. We specialize in serving homeowners throughout Tucson, Oro Valley, Marana, Vail, Saddle Brook. Sahuarita, Green Valley. Our expert roofing teams have the years of experience needed to provide you with flawless results. And, we’re a member of the Arizona Register of Contractors, Better Business Bureau and Arizona Roofing Contractor Association which means we comply with the highest standards of workmanship and business ethics. We offer free visual evaluation of roofs in Tucson and surrounding areas. A thorough evaluation can lead to early detection and resolution of problems. We can assess and repair many kinds of roofs. 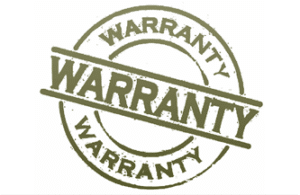 At RoofSmart LLC, we offer a no-leak warranty on repairs for a full two years. Even better, for our roof re-coatings, we offer up to a 4-year warranty. And, for our RoofSmart membrane roof systems, we provide a 4-year warranty.